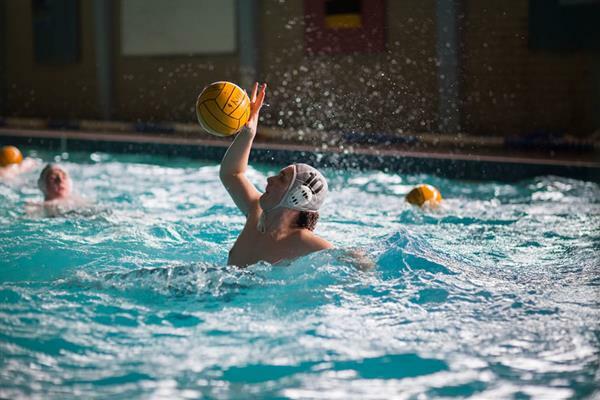 Water Polo has been a sporting option at RBAI for many years, with the School being one of currently only six in Northern Ireland with either the facilities or the coaching staff to allow boys to participate in this team sport. Training takes place in the school pool. Membership of the Club starts in year 8, but the main focus is on year 10-14 for the first 2 terms with year 8 and 9 being introduced to the basic skills of the sport in the summer term. The Club competes in the Ulster Schools Canada Trophy, as well as U16 and U14 Ulster Schools competitions and Senior and Junior Irish Schools Cups. Past members have represented the School at Ulster Schools Inter-Provincial matches, with Old Boys going on to represent Northern Ireland, Ireland and Great Britain at the Commonwealth and the Olympic Games. Water Polo offers a great opportunity for pupils to participate and compete in a very energetic and demanding team sport.